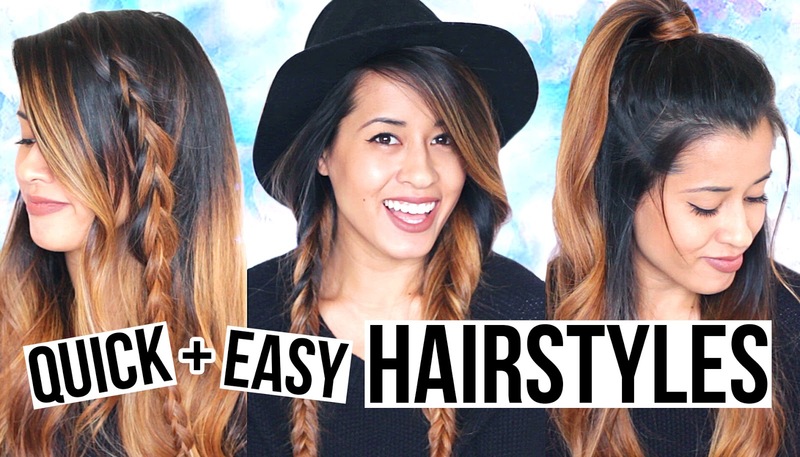 AUTEUR ARIEL: 3 Quick + Easy Lazy Girl Hairstyles! 3 Quick + Easy Lazy Girl Hairstyles! Hey there friendship. In today’s video I’m sharing 3 quick & easy Lazy Girl hairstyles for the Lazy Girl in all of us. These hairstyles will make people think you put a lot of thought, time, and effort into your hair when in reality you threw it all together in like 5 minutes. You sneaky dickens. Be sure to SUBSCRIBE to stay updated on my weekly Wednesday videos! PPS. If you haven't watched my Hawaii and Japan VLOGS, check them out HERE and HERE!